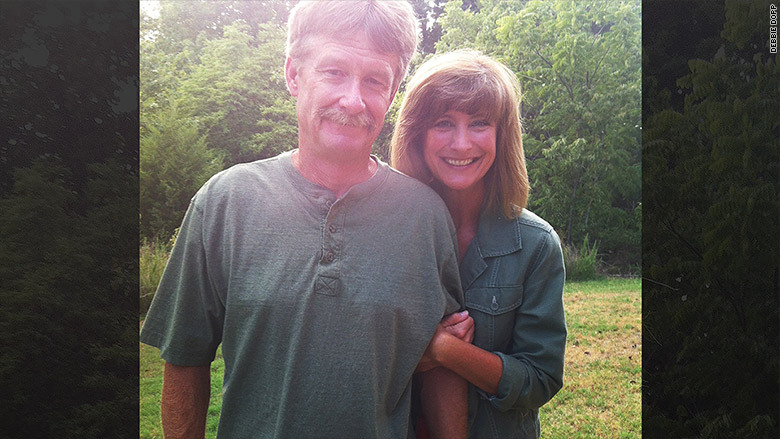 Former UPS driver Jim Dopp and his wife Debbie could lose nearly $1,500 a month in income. UPS earned more than $3 billion last year. But 8,737 of its former workers could see their pension checks cut next summer. The problem is that some UPS retirees receive their pensions from the cash-strapped Central States Pension Fund, which covers hundreds of thousands of workers from different companies. That fund says it needs to make cuts in order to keep from running out of money. Jim Dopp, 63, is one of the former UPS truck drivers. He retired in May of 2007 after more than 30 years on the job with a monthly pension check of $2,903. But last month, he received a letter saying his check could be slashed in half -- to $1,452 -- as soon as July, if the Treasury Department approves the plan. The real kicker is that UPS would've covered the cuts made to his pension if Dopp had retired just eight months later. The Central States Pension Fund used to administer pension benefits to a group of unionized UPS drivers, but the company left the fund in 2008 as a way to save money and provide retirees with better benefits. It set up its own pension fund, but only took current workers with it. Any UPS drivers who had already retired would still be covered solely by the Central States fund. "We do not have a contractual obligation to cover supplemental benefits for those UPS employees that had retired and were in the Central States fund prior to 2008," a UPS spokesman told CNN Money. UPS paid $6.1 billion in order to exit the fund. That should have covered the pension costs for UPS workers in the Central States fund that retired beforehand, including Dopp. But the fund has been hit hard financially by the aging workforce. It now has five retirees for each worker. And the deregulation of the trucking industry forced many of its member companies into bankruptcy. Unlike UPS (UPS), which paid billions of dollars to cover its workers when it left the fund, some of the bankrupt companies couldn't pay up. So now Central States is making cuts to most of its participants' benefits, regardless of which employer they worked for. "UPS regrets that economic challenges and other conditions have resulted in Central States administrators choosing to propose a difficult restructuring that will potentially adversely impact thousands of retired UPS employees," the spokesman said. But the company has already made "substantial" payments to fund its former workers' retirements, he added. The fund wouldn't have been allowed to cut current retirees' benefits, legally, without a federal law that passed in December. Not everyone in the fund is seeing the same size cut to their pension. Those over 80, on disability, or receiving a spousal death benefit will not see their pension checks cut. But retirees whose employers left the fund and did not pay what was due on their behalf will see the most severe cuts, according to a provision in the law. The Treasury Department will have the final say on whether the cuts are fair, and necessary in order to avoid insolvency. The agency has tapped attorney Ken Feinberg, who's known for overseeing the 9/11 victim compensation fund, to review the plan. Feinberg has about six more months before he must either approve or reject the fund's proposed cuts. "It's very sad that anyone has to see their pension cut, but we feel that it's not right that a profitable company like UPS isn't doing right by their employees," said Debbie Dopp, Jim's wife. She's a high school teacher, and will be putting off her retirement to make up the difference if her husband's pension check is cut. Their son will be entering college in 2017, and they'd like to help with the cost.